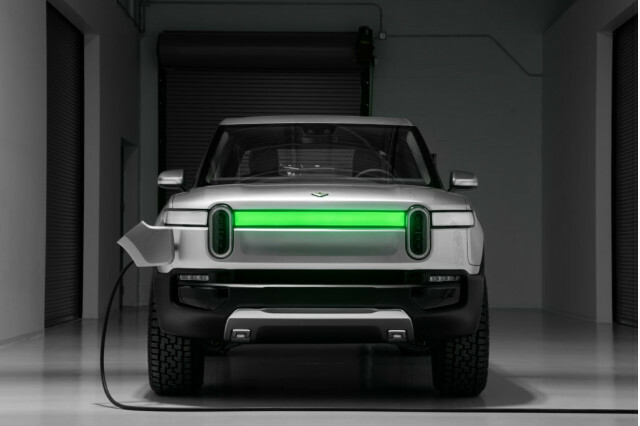 The Michigan-based electric-vehicle hopeful Rivian claims that its upcoming R1T pickup and R1S sport-utility vehicle, both revealed last month around the LA Auto Show, will be able to recharge up to 200 miles of range in just 30 minutes—provided they’re connected to a DC fast charger capable of delivering 160 kw. 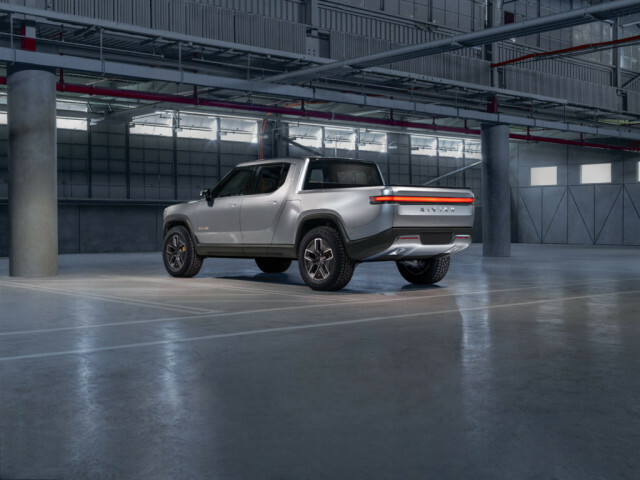 In the not-too-distant future, Rivian’s trucks may be revamped to effectively halve that charging time, when connected to the right charging hardware. The claim brings to mind the Porsche Taycan (Mission E) and the closely related Audi e-tron GT. They’re two of the only other vehicles, as of yet, confirmed as having 800-volt architecture throughout. While Rivian’s trucks are built around 400-volt components, they might be the first electric vehicles that have actually been designed from the start for an upgrade to 800 volts. The leap to double the voltage can be accomplished, Scaringe outlined, by doubling the S count [the number of cells connected in series] and halving the P count [the number of cells connected in parallel]. “So we go from a peak of 450 volts to 900,” he said. Rivian already has that double-voltage, peak 900-volt (nominal about 800V) battery pack in development, and it’s actually designed all the connectors and bus bars for production. Rivian’s battery pack will have predictive modeling to pre-condition the pack (warm it or cool it) ahead of anticipated DC fast charging. 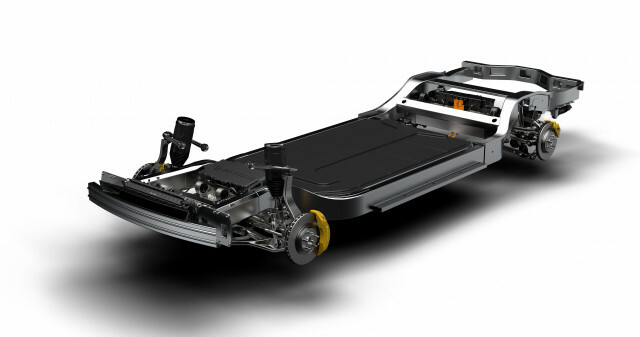 According to a recent report by Teslarati, the battery is structured around modules that each contain 15 kilowatt-hours and 864 cells, in two layers, with denser packaging than in other electric models. The cells themselves are cylindrical 2170 cells—the same format as is used in the Tesla Model 3, but Rivian is anticipated to source them from LG Chem. The cooling approach is different than what anyone else is using. Rivian’s two levels are separated by a 0.3-inch aluminum plate, with coolant running through it, part of a single cooling system. Most other packs contain the metal plate underneath—doubling as a heat sink and protection—but Rivian is instead opting for a carbon-fiber ballistic shield for the bottom of the pack. It’ll be some time before the battery pack goes to 800-volts, however, Scaringe underscores. “The reason for that is the supply base of all the high-voltage ‘stuff’ in the vehicle, the electric compressor, DC-DC converter, is all built up around a sub-450 world,” he said. “As the world builds out 800-volt capability, everything’s architected so very quickly we can switch over to 800 volts." Stepping up the voltage isn’t a matter of just swapping in a few components here or there. Relatively simple changes that need to be accommodated, such as the placement of connectors and the spacing of leads, need to be planned from the start. 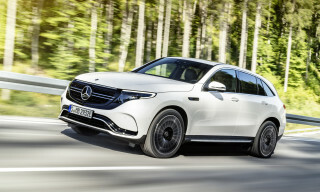 The industry won’t see a lot of availability of 800-volt components from suppliers until 2021 or 2022, Scaringe estimates—a position that Green Car Reports has heard directly from several top-tier suppliers as well. Porsche has confessed it had to develop some of its own components independently for the Taycan—a very resource-intensive process that the company had the deep pockets and engineering headcount to absorb. But Rivian will be ready for it, on a timeline that might just be two years after the original launch. Scaringe makes it sound like that's when the company’s products hit their full potential.